Come see us at one of our local events! Check back often, we add new shows throughout the year. Show schedule subject to change...please check back often! 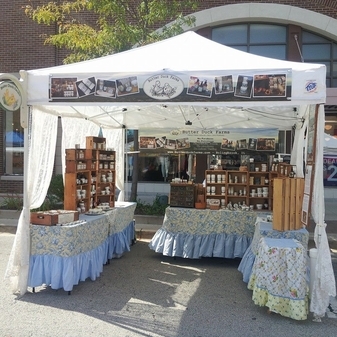 In the fall of 2011, while at a local craft show, we were approached by the gift shop manager at Cantigny Park wondering if it would be possible to create an exclusive line of bath and skin care products with ingredients grown and harvested in their gardens. It's been an exciting and amazing opportunity! 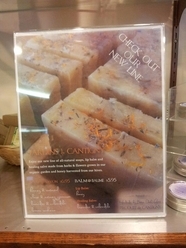 We continue to work with the greenhouse staff to provide Cantigny's own line of soaps, lip balms and moisturizing balm. 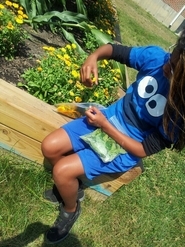 The greenhouse planted an organic garden, exclusively for our use. 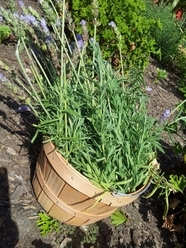 Throughout the growing season, we harvest French Lavender, Calendula flowers, Lemon Verbena, a variety of Geraniums and more for use in products. 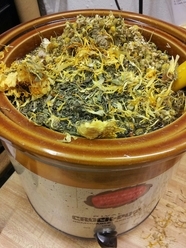 The plants are dehydrated and infused into oils for their theraputic and aromatic properties. The honey we use comes from Cantigny's own hives. 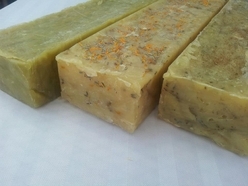 The line currently consists of a Lavender & Calendula soap, Lemon Verbena soap, Clove & Nutmeg Geranium soap, a Honey Oatmeal soap, Honey lip balm and a Lavender & Calendula salve, great for moisturizing hard working gardening hands! 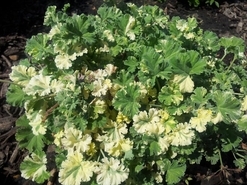 The park is a wonderful place to be, with gorgeous plantings year round and museums to look at. On your next trip, be sure to stop by the gift shop and check out Cantigny's own custom made products.